Pioneers in the industry, we offer automatic liquid bottle filling machine, rotary bottle filling machine, automatic liquid filling machine, fully automatic liquid filling machine, bottle filling machine and juice cup filling machine from India. Container Height 210 mm Max. 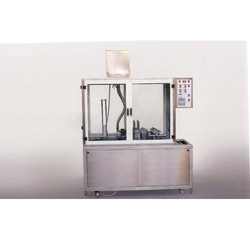 We offer Automatic Liquid Bottle Filling Machine. Use in pharmaceutical, chemical, food, beverages etc industries. Linear base machine. Available in 4 head, 6 head capacity. We offer Rotary Bottle Filling Machine. Run on rotary filling principal. Use in packaged drinking water or mineral water industries for water bottle packing. 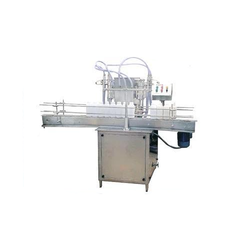 We offer Automatic Liquid Filling Machine is very easy to operate & very less in maintenance. 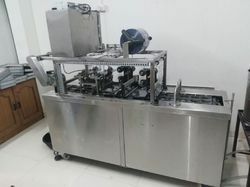 We offer Fully Automatic Liquid Filling Machine is use for free flow and non free flow liquid filling in pet jar, pet bottle, jerry can,container, plastic container, etc. 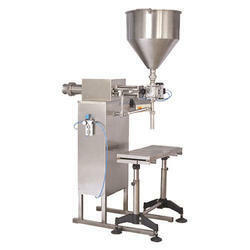 This machine is run on volumetric piston filler base with high accuracy filling. We are offering Bottle Filling Machine to our clients. This machine is different in filling system. We also offer volumetric bottle filling machine in pharmaceutical industries, food industries, chemical industries, pesticides industries. We have a rotary continuous bottle filling machine for juice industries, drinking water industries. We are manufacturing and exporting a wide range of Juice Cup Filling Machine. We are offering Automatic Bottle Filling Machine to our clients. We are manufacturing and exporting a wide range of packaging machines, automatic/semi-automatic forming, filling, sealing and capping machines. Manufactured using high grade raw materials and utilizing innovative production techniques, our vast range of machines is as listed below. We offer automatic bottle filling machine. 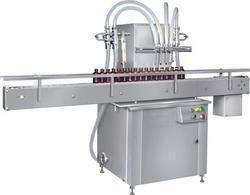 automatic bottle filling machine is use for free flow and non free flow liquid. 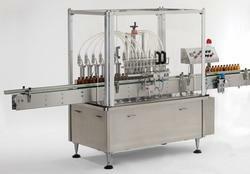 automatic bottle filling machine is use in pharmaceutical , food, chemical , water , beverages etc industries. Suitable for Food and Beverages, Chemicals, Pharmaceuticals, Cosmetic applications and other allied companies/ industries. We offer Mineral Water Bottle Filling Machine. 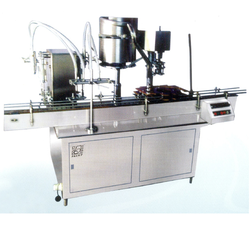 This Machine is rotary base 200ml to 2 liter filling capacity machine. We offer Juice Filling Machine. Use for ready to drink or synthetic juice fill in pet bottle. Have a two model one is rotary station filler and another is continuous rotary filler. 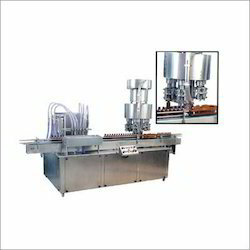 We offer Semi automatic liquid filling machine. Use for bottle, jar & container filling. Available in two head model. Run on volumetric piston filler system. 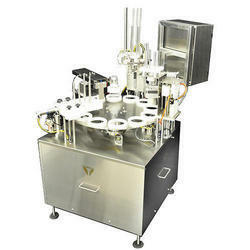 We are offering Semi Automatic Jar Filling Machine to our clients. 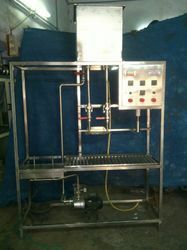 We offer Liquid Filling Machine. Use of free flow and nonfree flow liquid. Use of glass, pet, aluminium bottle, container, and jar. Run on volumetric piston filler system. Use in juice, beverages, food, chemical, pharmaceutical industries. 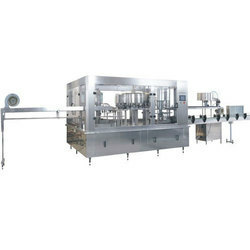 We offer Automatic Juice Filling Machine. This Machine is linear base volumetric piston filler base. 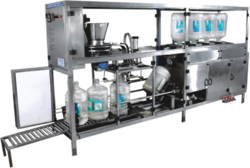 We are offering wide range of 20 Liters Jar Filling Machine. 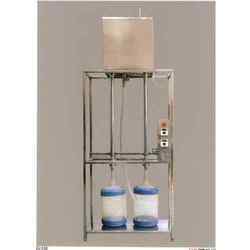 We are offering Jar Filling Machine to our clients.